It is 1995. 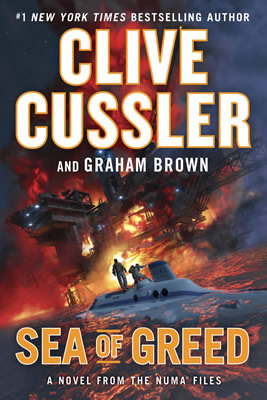 Dirk Pitt, on a mission to find the remains of a Pharaoh's funeral barge buried in the bottom of the Nile, rescues an attractive young woman, Dr. Eva Rojas, a biochemist with the UN World Health Organization, from being murdered by thugs on a beach near Alexandria... Who but Clive Cussler could tie these events together in a book that is Dirk Pitt's most gripping and action-packed adventure ever? With the mastery that has made each of his books a major best-seller and raised him to the top rank of adventure fiction, Cussler plunges his hero into the African dessert, where the beautiful Dr. Rojas is investigating a mysterious disease that is driving thousands of people into madness, cannibalism and deatha disease caused, perhaps, by vast, deadly and unprecedented pollution, leaking a chemical substance that threatens to extinguish all life in the world's seas, and human life itself... As the race is on to save the world from environmental catastrophe, Dirk Pitt and his friends plunge into darkest Africa, battling their way up the Niger to a huge, secret, hazardous waste project, a partnership between Yves Massarde, French billionaire entrepreneur, and General Zateb Kazim, the brutal, despotic, corrupt tyrant who rules the West African nation of Mali. Pitt's epic journey up the Niger River against the gunboat fleets and modern jet fighters of two African nations leads him to the discovery of Kazim and Massarde's secret, only to find himself captured and forced to work as a slave under inhuman condition in a gold mine deep in the desert, along with Dr. Rojas and her team of UN scientists. As the clock ticks toward the world's destruction, Pitt plots his escape across the Sahara desert. Making his way across the trackless desert to alert the world to the source of the threat, Pitt uncovers in the process the truth about Kitty Mannock's death, as well as the incredible secret behind Lincoln's assassination that lies concealed, in the middle of the Sahara, aboard the old Confederate iron-clad... As usual, Pitt trashes the bad guys; as always, Pitt gets the girl; as before, the result is an un-put-down-able book, charged with excitement plot twists and bigger-than-life characters, compelling, satisfying reading by the master of the genre. "Don't even peek at Sahara until you're ready to read every word. America's finest adventure writer, Clive Cussler, has given us the ultimate Dirk Pitt tale, a taut zinger that I couldn't put down." 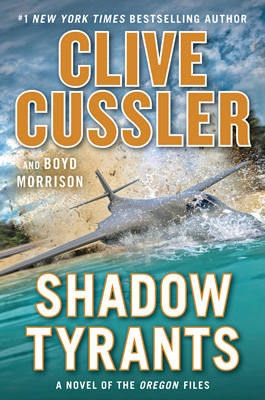 "Clive Cussler is at his absolute, riotous, violent, macho best in Sahara...Dirk Pitt is a godsend...The finale is no less than splendid." 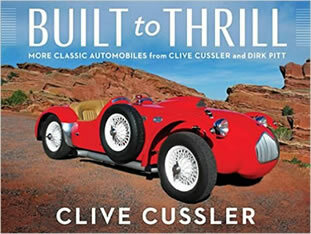 "Dirk Pitt is at it again...proving himself indestructible to the bad guys and irresistible to beautiful womenand irresistible to readers as well!...Terrifically fun..."
"Clive Cussler gets more wild and mischievous with every new book...Sahara is a fast-moving string of adventures with some outrageous side plots...A tour de force..."